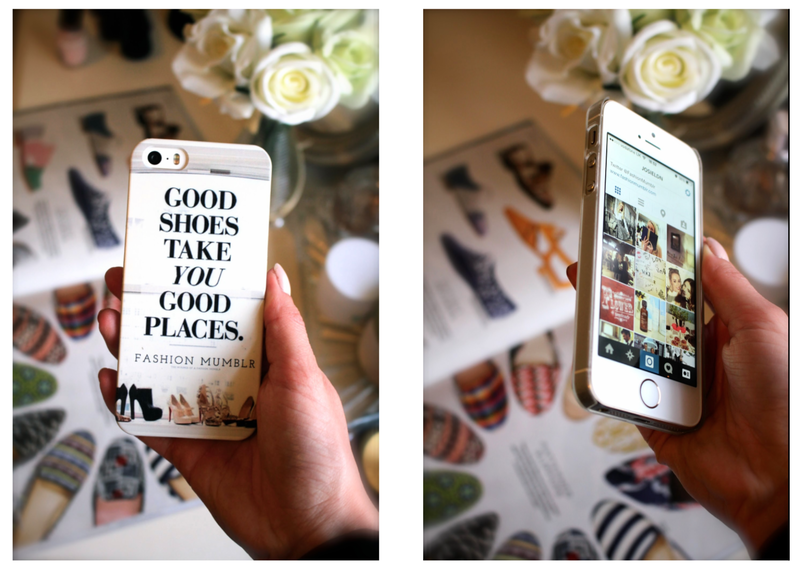 Fashion Mumblr Personalised iPhone Case! You know that feeling when you get a new phone, and you just want to treat it with so much love and care – and can’t bare the thought of it ever getting scratched?! Yep. That’s where I’m at right now. So I searched around for somewhere to get personalised phone cases, so that I could create one that’s fashionable, and practical! I was contacted by the fab folk at Mr.Nutcase who offered to send me a free case featuring my own design, and here it is! I created the image on Photoshop and uploaded it to the site. It arrived within a couple of days and I snapped it straight onto my iPhone. The sides are clear plastic, so you can still see the lovely rose gold colour of the phone. So thank you Mr.Nutcase – I love my new case!